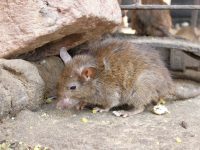 After carefully inspecting your home in Anaheim, CA, we will develop a rodent control plan that is customized according to your circumstances, ensuring the best possible results. Using advanced products, such as RO-DEX, our technicians will set traps and continue monitoring the infestation until it has been completely eliminated. We’ll then provide a two-year warranty, so you won’t have to worry about rodents quickly returning. Additionally, Kilter’s rodent control services include help restoring your home. For example, we’ll seal entry points that allowed rodents to enter in the first place, and will help clean the mess they left behind. To learn more about the rodent control services we offer to homeowners in Anaheim, CA, contact Kilter Termite and Pest Control today.